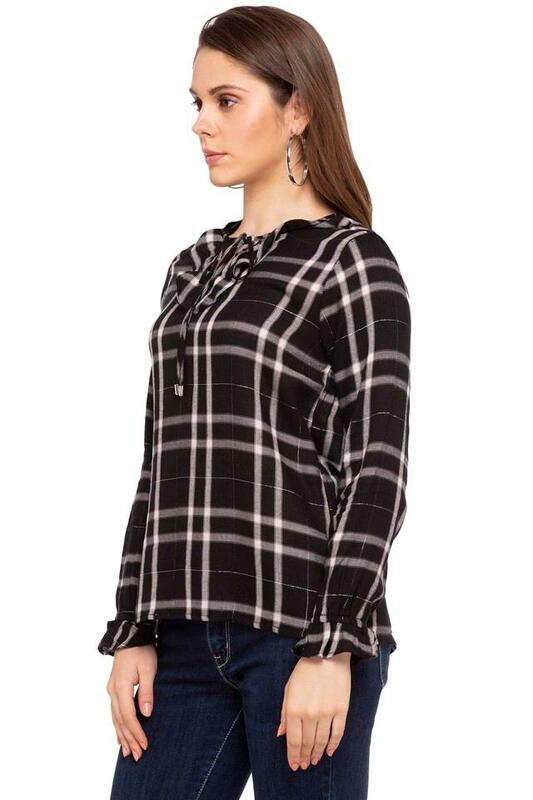 Make an exciting choice for a casual outing with this simple, top from Mineral. Made from good quality fabric, this top will be perfect according to your convenience. 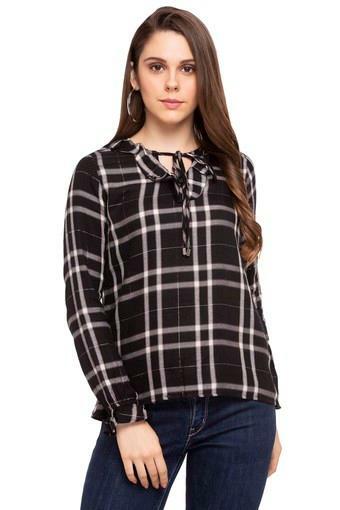 Featuring a tie up neck, full sleeves and checked pattern, this top boasts of enticing poise. 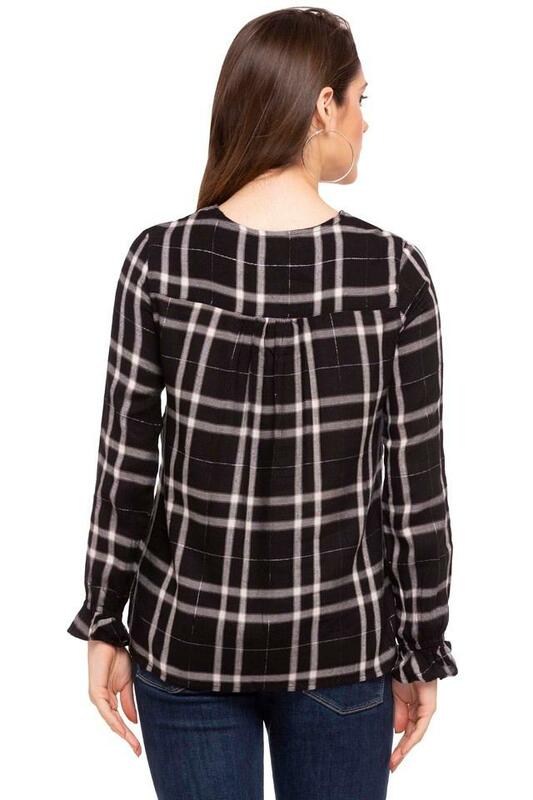 Fusing feminine shape with contemporary design, this top. 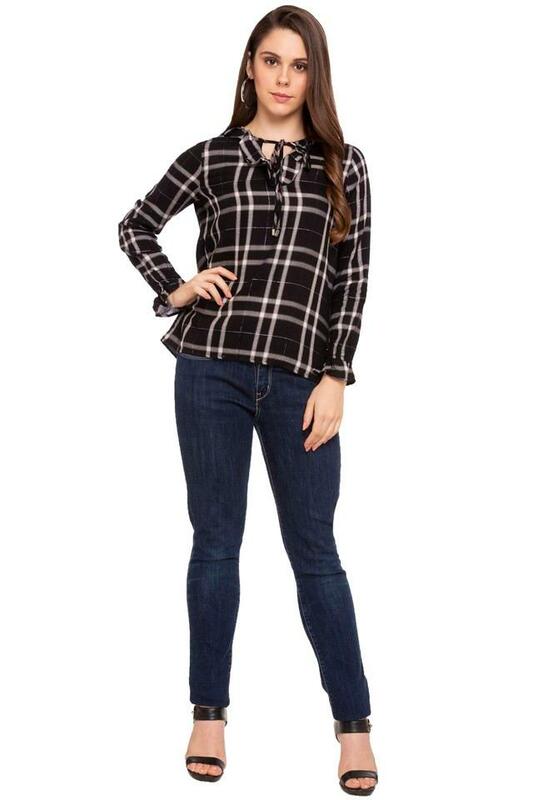 Coordinate this top with a pair of jeggings and ballerinas for a chic look.